Whether you’re arguing for a design decision, or making the case for hiring another developer for your team, the advice I’ve heard over and over is that if you use logic (backed by user research or other data), you will prevail. I’ve rarely found that to be true in the real world, and that’s what I want to talk about today. It was introduced by Ethan in his 2009 article, Fluid Grids, and laid the foundation for the movement we now know as Responsive Web Design. It’s hard to overstate the applications of linear equations in computing. They form the basis of linear algebra, without which we wouldn’t be reading this column on a computer screen. Actually, the computer wouldn’t even exist. Yet the elegant little nuggets of logic that are linear equations only work when we take certain mathematical concepts for granted. Without these foundational laws of mathematics and logic, linear equations are about as useful as a dog taking a selfie. Not quite as entertaining, though. What’s truly important to realize is that we all share precisely the same concepts related to mathematics. In the universe of mathematics, if you have an a and I have an a, they are both exactly the same and they are equal to each other. Thanks to this guarantee, planes can fly, iPhones can ring, and of course, websites can respond (browser inconsistencies notwithstanding). What we forget is that the certainty that “one thing always means the same thing no matter what” disappears almost entirely in the real world. And that’s why, like a linear equation in a universe without reflexivity, arguments backed only by logic tend to land on deaf ears in the real world, where each one of us is governed by our own unique and personal laws of logic; where the speaker’s a quite literally can be the listener’s wtf. This is not to say that you should forgo logic in making your case. On the contrary, base your case on it. But if you’re not incorporating the most essential element of effective persuasion—an understanding of the other person’s universe, no matter how illogical it may seem to you—don’t be surprised when your case falls flat. Ironically, that’s the only logical outcome. Technology rests on a discovery of patterns: of behavior, association, energy, thinking. How valuable those patterns are to us is constantly being renegotiated as we experience a series of reveal shots that show us another part of the big picture, and yet another part of the big picture, and so on. To rely on a favorite cliché, it’s turtles all the way down. Cofounder at Minky. Formerly Microsoft, Amazon, and Purdue. Writes at rainypixels. Tweets as @rainypixels. 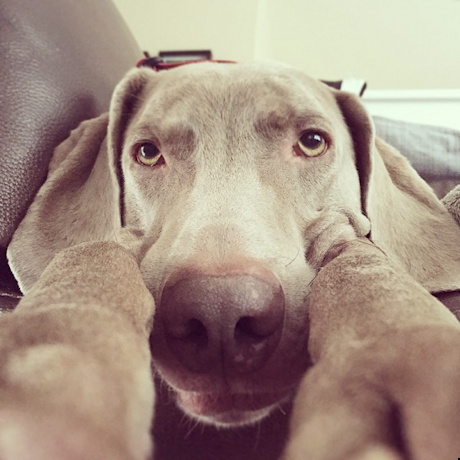 Lives at the mercy of a Weimaraner. So “true” Nishant. Thanks for the post.